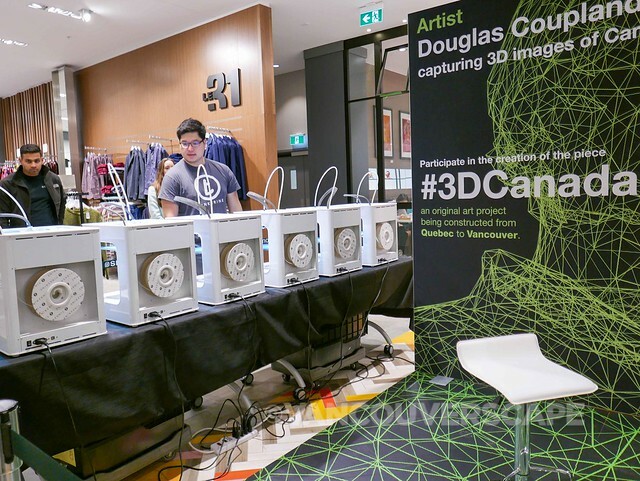 Renowned fashion retailer Simons and celebrated Canadian novelist and artist Douglas Coupland have partnered to bring 3DCanada, a first of its kind, crowd-sourced art initiative to its stores. 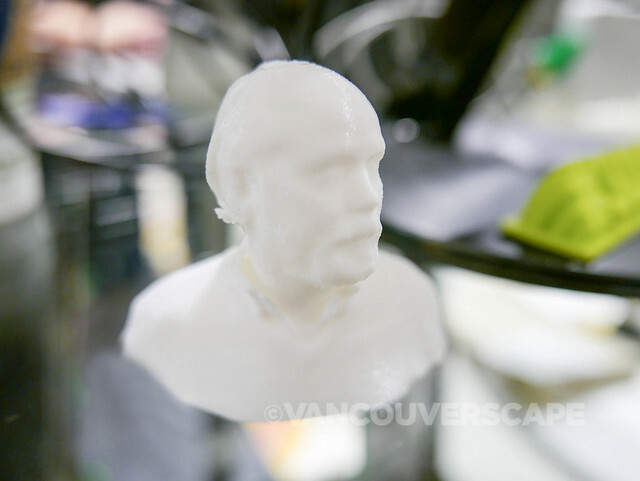 Between 2015 and 2017, Coupland will visit seven cities across the country to scan Canadians at various Simons locations where participants will take home their own 3D printed busts. 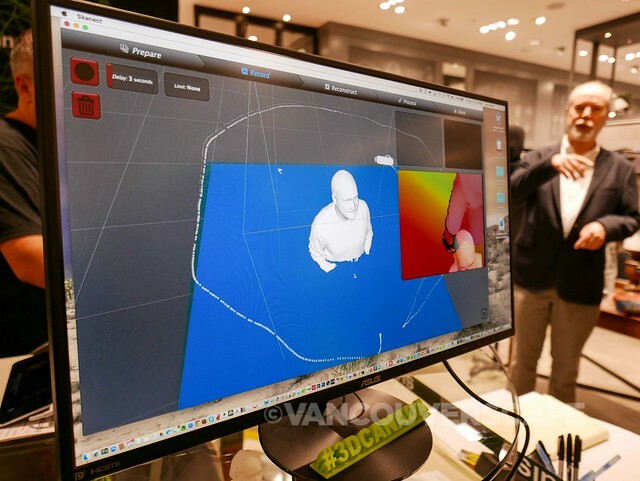 The project will culminate when Coupland unveils 3DCanada – a sculpture made of hundreds of 3D printed busts – at the future Yorkdale Simons store in 2019. 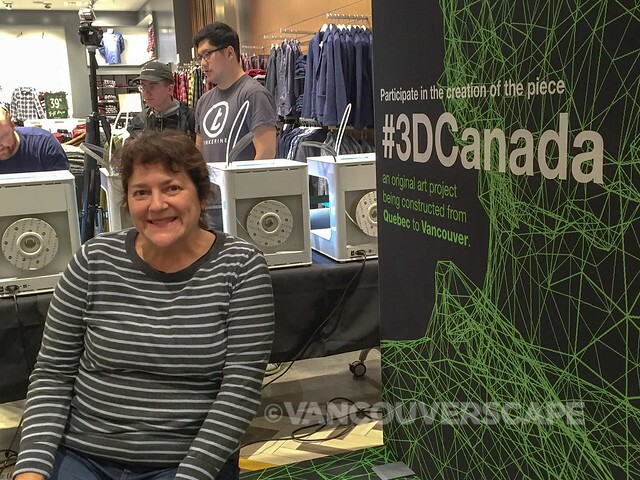 As a nod to the Quebec retailer’s expansion across Canada, 3DCanada will capture 3D files of a sampling of Canadians from Quebec to BC. The project is another example of Simons’ commitment to arts and culture, demonstrated through their support of local artists and art institutions. 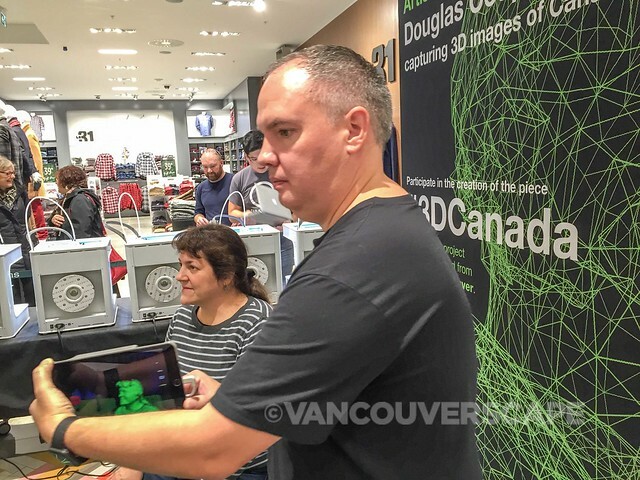 It was pretty cool getting my head scanned this morning, and it’s just a matter of sitting still for a few minutes while John Biehler, 3D technologist, walks around you while holding an iPad Mini with 3D printing software installed. 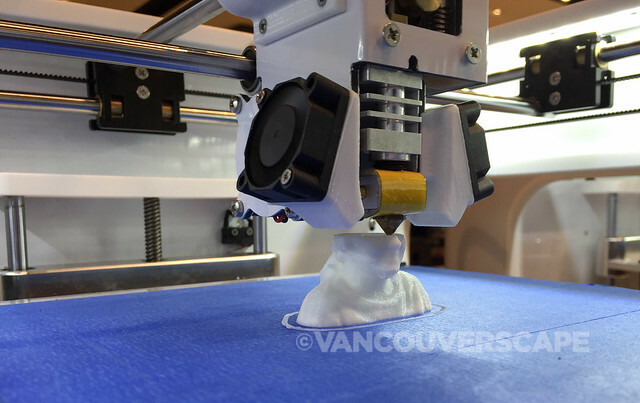 The printing takes about 25 minutes to complete but through the magic of time-lapse and my iPhone, here’s the process sped up. 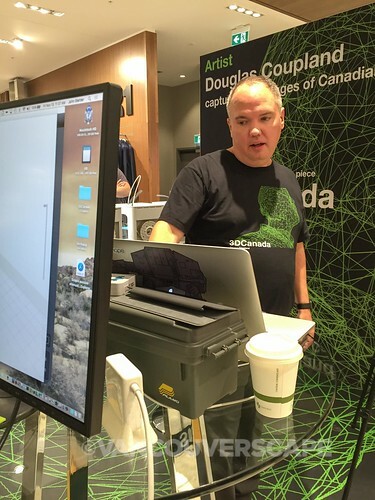 In-store events will take place on a weekend during store hours, where up to 100 people will get the chance to meet Coupland and experience being scanned. 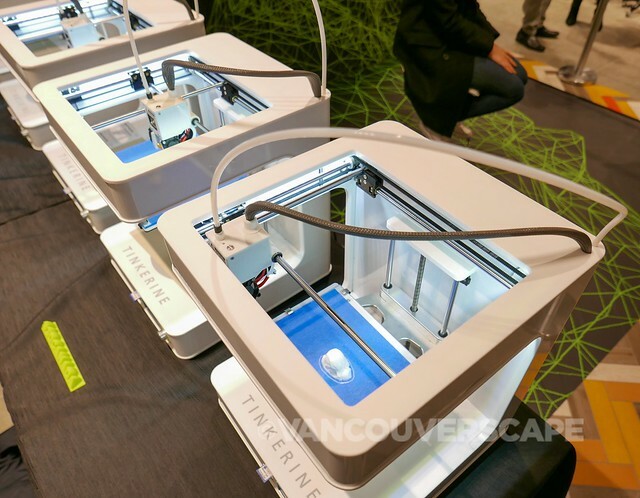 Each 3D bust, printed on site, will be available for pick up the following week. 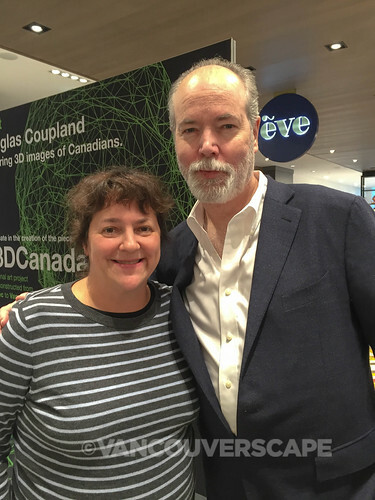 And while you’re at Simons, look UP and notice Coupland’s second collaboration with Simons: Bow Tie, a brightly-coloured striped tie sculpture that hangs in the department store’s two-storey atrium.